The internet is stuffed with articles about how to manage a business with a proper social media presence. If someone searches by a topic in Google search, it will return more results than you could ever hope to find. So when a tool, trick, or pneumonic device comes along that gives clear directions and is easy to remember, we should bookmark it for reference. 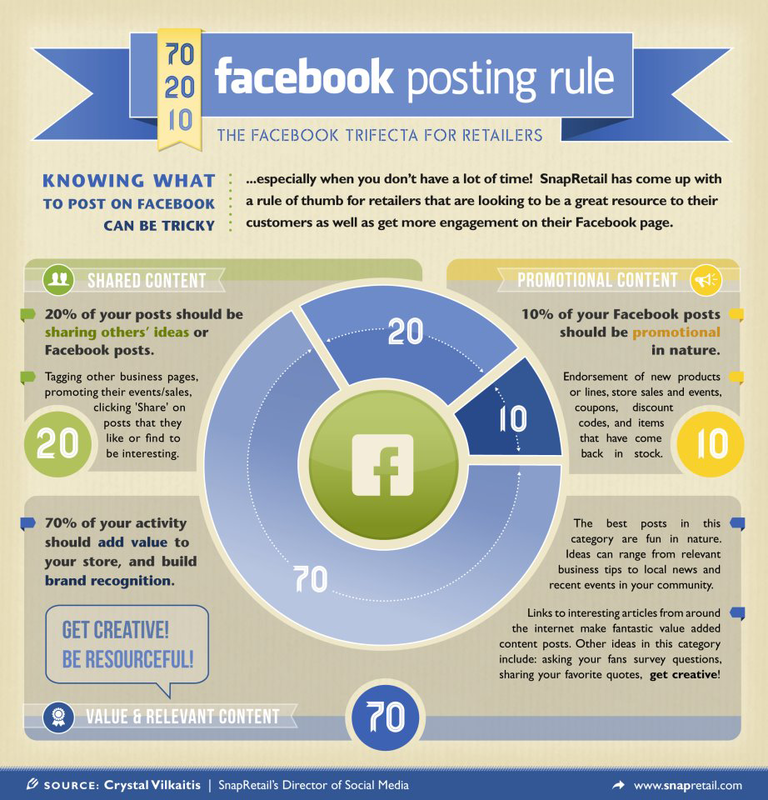 Here is a nice infographic which explains how the 70/20/10 posting rule works.